Although winter will officially end next month, Wisconsin weather is very temperamental. We see snow even as late as May. As I plan out my future projects, I decided to add a quick cowl to the mix. This Pommin’ Around Cowl is an easy repeat pattern using Grit Stitch. The pom detail on the one border adds a touch of fun and whimsy to this simple design. Perfect for the beginner to advanced crocheter! -This scarf is 60 inches long without folding. It’s about 30 inches folded in half. 3DC Cluster: [YO, Insert hook into 3rd ch from hook, YO, pull through, YO pull through 2 loops] 3 times, YO pull through all 4 loops on hook. Row 1: 2 SC in 2nd ch from hook, *Sk next ch, 2 SC in next ch, Repeat from * across, ending with 1 SC in last ch. Ch 1, turn. You can repeat Row 2 for however long you want before you go onto the next edge row. When I *rose* up this morning, I thought to myself, oopsie *daisy* I am not prepared for my post today! I was like, “What in *carnation* do I write about in today’s puns?” I would be *pollen* your leg if I told you that I was prepared for today’s punny caption about flowers! I was hoping to have someone *plant* an idea for me so this would not be so difficult. But boy, was this tough! *Bunches* of times I felt like I could not *cultivate* a good idea. But then a *seed* in my mind started to *grow and grow*. Before you know it, I began *rootin’* for myself to finish this great idea! And here it is! I am hoping *thistle* bring cheer to all my *buds*! Happy Sunday! Rnd 1: 4 SC in 2nd ch from hook. Fasten off. Change color to red. Rnd 2: With Red, Attach to any stitch, [Ch 3, Sl st in next st] 4 times. Sl st into first ch 3 sp. Rnd 3: *Ch 3, 6 DC in same ch sp, ch 3, sl st in same ch sp, sl st in next ch sp, repeat from * around, sl st to first ch 3 sp. My wedding is in March 2018!! I chose regal jewel tone colors for my bridesmaids. Each one of my girls will be gifted my Wrapped In Jewels Shawl accented with pearlized beads and created in their coordinate colors! This beautiful ombre shawl uses Red Heart Super Saver Ombre to create this elegant and striking gradient color. Getting married in Wisconsin in March means those temps are still going to be a bit chilly! My girls standing by my side will be wrapped in a warm hug on my wedding day and beyond. This is a great gift for anyone. Grab your hooks and this beautiful ombre yarn and get yours started today! Don’t have this yarn? This lovely shawl would look amazing in any color. Imagine ivory as another bridal alternative or match your bridesmaids in a different tone. This is one piece you cannot go wrong with! -The measurements are: approx. 50 inches across and about 34 inches long. You can make this bigger or smaller if you want since it is a repeat pattern. -If you want to make this shawl larger, you would do Rows 1-46 and then repeat Rows 26-46 and then go onto row 47-50 for the border. Row 47: 2 DC in first st, 1 DC in each st across putting [2 DC, ch 2, 2 DC] in ch 2 sp and 2 DC in last st, ch 1, turn. Row 48: Repeat Row 47, continue to DC on long edge of shawl as well to clean up the edge. (See video tutorial for visual instructions) sl st to first DC. Rnd 49: Ch 1, HDC in 1st st, [CH 1, sk 1 st, HDC in next] until ch 2 sp, [2 HDC, ch 2, 2 HDC] in ch 2 sp, [CH 1, sk 1 st, HDC in next] until end, continue to HDC across the long edge, sl st to first HDC. Rnd 50: Sl st in first Ch 1 sp, ch 1, SC in same sp, *[3DC, Picot, 3DC] in next ch 1 sp, SC in next 2 ch 1 sps,** repeat from * until point ch 2 sp, (see video tutorial if you only have 1 space to SC into instead of 2 sps before the point) SC in ch sp before the point, [3 DC, Picot, 3 DC] in point ch sp, SC in next ch sp,repeat from * to ** until end. Sew beads into shawl using transparent thread and beads. See video tutorial for visual instructions on sewing beads to shawl. We’re thinking a little bit outside the box by adding some crochet detail to our earbud cords. Today’s tutorial shows how to single-crochet around your electronics cord to add a decorative touch, but it has a multi-purpose. To expand on this creative idea, you can use this technique for other cords such as rope or cord to create a necklace, phone chargers, belts, and use for other decorative ideas. 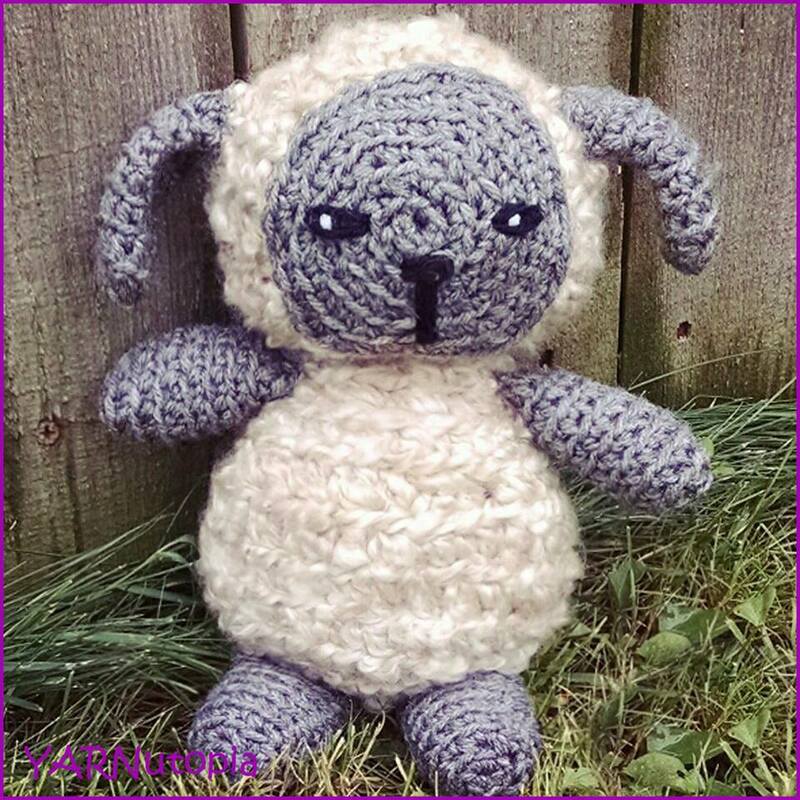 This video tutorial does not have a written pattern as it is so easy–just single crochet around a cord! Enjoy!! A very simple and elegant twist on a basic earring. Crochet jewelry is all the rave! Add a tiny floral embellishment to the back of your studs with this easy to make crochet thread flower! Just in time for wedding season, craft shows, springtime, prom season, senior ball, or just for fun, these can be made in minutes! Just the right touch to your perfect outfit or dress! You can make a singular flower as shown in the video tutorial, you can make multiples and layer them, you can change out the stud in the middle to a diamond, a jewel, a shape – it doesn’t need to be a silver ball stud. The possibilities are endless!! You may use any size thread and any size hook, just know that the flower will turn out slightly larger or smaller depending on the hook size. Start with Magic Circle and ch 1.